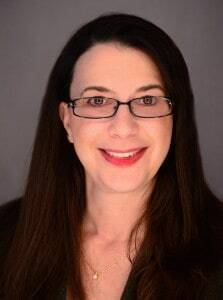 In this week’s Profiles of Success, Ciao Pittsburgh is featuring New Jersey resident, Felicia Lucco, who was born in Pittsburgh and spent most of her childhood in Butler, PA. After being downsized yet again after 20 years in corporate, she founded Your Cyber Partner, an online marketing firm, to help SMBs get more exposure for their business through the Internet. Felicia took time out of her hectic schedule to chat with us about her business as well as her Italian heritage. Felicia: The most rewarding part of running my own business is that I choose when to work. I often run an errand during the day and work into the evening, avoiding traffic and crowds. It’s also a great feeling each time I sign on a new client. Felicia: My mother’s grandparents came from Palermo, Sicily, and I remember my great-grandmother speaking the language when I was very young. Only her eldest child was born in Italy before she came to the US. I believe my paternal grandfather was from Calabria and came to the US as a young man, met my grandmother and raised a very large family in Boyers, PA.
Felicia: The food, of course. I remember homemade pasta and noodles drying across the bed. Christmas eve. brought an elaborate fare of seafood and goodies reserved for that special time, including homemade ravioli and lots of Italian cookies. Not until we were all asleep did Santa come and decorate, put up the tree, and leave the gifts. I couldn’t imagine doing that all in one night! Felicia: Growing up Catholic; large, close families; the best wine and food, and homemade sauce (not gravy!). Felicia: I began my corporate career at the age of 30, and excelled at it. Along with continuing education, I taught myself most of my software skills, along with continuing education, and moved up in both responsibility and pay. I was then able to take all of those skills and apply them to my own company. Felicia: I enjoy hiking and taking in the sights, sounds, and smells of the woods. There is peace and solitude there. As much as I like to cook, I also love to eat out and try new places. And I’ll take music over TV any day. CP: What are some key learnings you’ve experienced in your business? Felicia: People don’t care what you do; they want to know how you can help them. CP: What would you do differently in your strategy moving forward? Felicia: Stay in touch more. It’s easy to lose track of people and time. I am making it a point in 2014 to make calls or send personal emails each day just to say hello – to past colleagues and people I’ve met along the way. You never know. Felicia: Don’t be afraid to get help. Don’t think of it as “spending money”; it’s an investment in your business. Learn how to hire the right person, then delegate. One can get easily overwhelmed trying to go it alone. Felicia: In addition to working online, I love working with documents and making them the best they can be through editing and layout. I spent some years creating user guides and online help systems, plus hundreds of other documents. Recently I was the ghost writer for a client writing training material for equine massage therapists. Projects like these make my day.